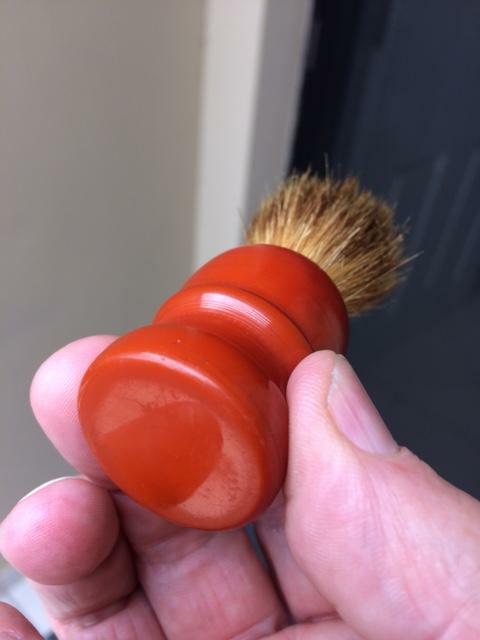 Mystery Butterscotch Brush. Guesses, anyone? 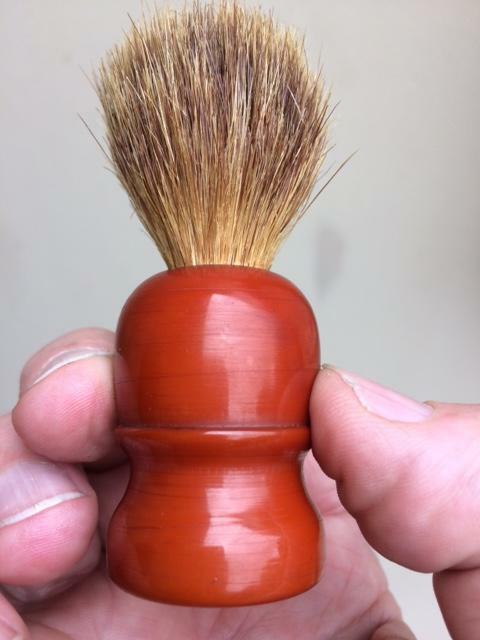 It is badger hair, and a slimmish knot (15mm). The closest I could come up with is a Simpsons 50 series. I have doubts about that, though. 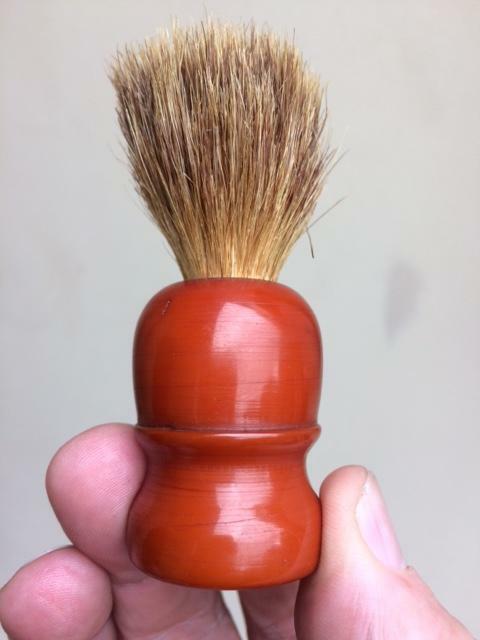 The handle is 30mm across the base and 40mm high. It's clearly covered in lathing marks. I don't think I have seen a deeper butterscotch handle than this. Beautiful. Some weight to it, too. Anyone have any idea who the maker might be?